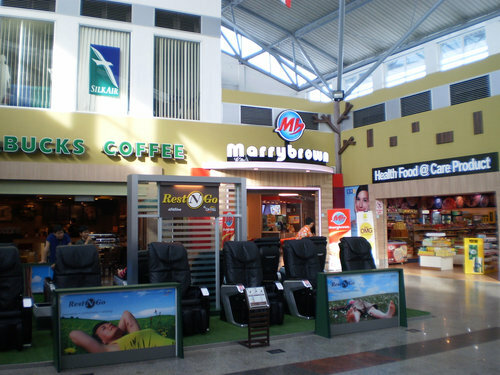 There are several duty free shops at Langkawi International Airport. You can start shopping as soon as you land or while departing. But, the duty free shops at the airport are unfortunately not quite cheap. In fact compared to the ones in Kuah Town, they are quite expensive. So unless you have no time to shop while staying in Langkawi, you are better off controlling your shopping desires at the airport. However, you will be able to purchase most of the common stuffs that tourists want at duty free shops. 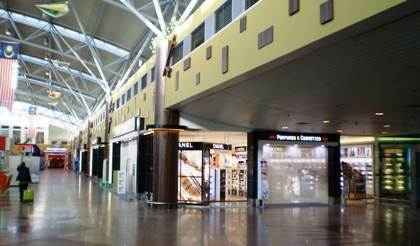 The shops are all lined up at a large common hall which is common to both arriving and departing passengers. There is a large store selling perfume & cosmetics. It has large collection of almost all the known brands. A rear section of that store sells various items including Langkawi embossed T-shirts, branded T- shirts, clothes and dress materials for men & women, and many gift and souvenir items. You will get many different designs of key rings ranging from RM5 to RM15 a piece. But one of the best souvenir items to buy from the airport and our favorite is the Plaster-of-Paris models of Golden Brown Eagles sitting on rocks. After all Langkawi's main symbol is Golden Brown Eagle from which it derives its own name. There are many different models of the eagles of various sizes and of exclusive design. They will neatly pack it in shock proof packaging. When I compared them with the prices I had seen in Jetty Point Shopping Complex in Kuah Town, I found them to be slightly cheaper here. Another large store sells liquor and tobacco. It too has nice collections of wide range of brands. But they are definitely more expensive than other duty free shops in the island. Apart from the large formal stores, there are also several stalls that are lined up along the middle of the hall. They have a range of small products including clothes, cosmetics and other souvenir and gift items. Other than duty free stores, there are couple of cafes inside. Starbucks and Marry Brown are the two most popular cafes here. Both are great places to get some burgers, sandwiches and coffee. Marry Brown also makes some great noodles and chicken & rice preparations. They both offer many different kinds of ice creams and cold drinks & juices. Are the below allowed on departing from Langakwi airport during customs checking or on board Air asia ? 1. Bottled liquors ? Quantities allowed ? 2. Cigarettes ? Quantities allowed ? Thank you. 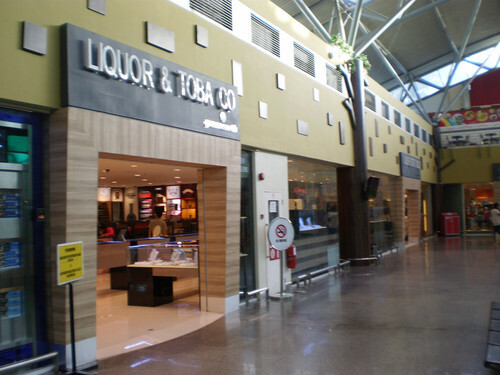 Yes, you can buy duty free items like liquor and cigarettes at Langkawi airport while departing. Quantity depends on duty free allowance/limit of your home country. Usually it's 2 liters of liquors and one cartoon (200) cigarettes per person.